Publisher: New York: New York University Press, 2012. 269p. In reading David A. Harris’ book Failed Evidence, I quickly realized the timing could not be better. Over the years I have become increasingly frustrated with the extent to which the criminal justice field, as a collective whole, simply ignores a great deal of rigorous empirical work. It has surely caused me to pause and ask, why have I been doing this work all these years? Is it simply to bolster my own self-interest and pile up the peer-review publications? While there is some truth to this, I surely did not choose my profession predominantly based on simply moving up the Professor ranks. Just like countless others in academia, I wish to do meaningful work. With the exception of DNA (and then, only sometimes), most of our police and prosecutorial agencies do not welcome the findings of science; they do not rush to incorporate the latest scientific advances into their work. On the contrary, most police departments and prosecutor’s offices resist what science has to say about how police investigate crimes. The best most rigorous science findings do not form the foundation for the way most police departments collect evidence, the way they test it, or the way they draw conclusions from it. Similarly, most prosecutors have not insisted upon evidence collected by methods that comply with the latest scientific findings in order to assure that they have the most accurate evidence to use in court” (pg. 2., italicized emphases original). Using the backdrop of wrongful convictions as the ultimate failure of the criminal justice system, Harris hones in on three specific areas where police and prosecutor practices do not conform to the latest scientific findings: eyewitness identification, police interrogation, and forensic science. By reviewing the existing literature in these areas, and using many illuminating real world cases, he makes a compelling case for change. Harris details the process the police often rely on for eyewitness identification, for which misidentification accounts for 75 percent of known wrongful convictions. 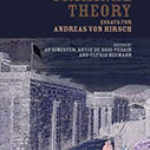 Drawing on a review of prior work done in this area, he delves into the issue of relative judgment and the importance of conducting lineups in a very constructed manner similar to a scientific experiment. He discusses such processes as pre-lineup instructions, simultaneous versus sequential lineups, the selection of lineup fillers, blind lineups, and the subtle cues that police officers may give to witnesses unknowingly, which can increase the chance of error. With respect to police interrogation, he discusses the difficulty with false confessions and the science behind it. He specifically spends a good deal of time on the well honored “Reid Technique” within law enforcement circles and its nine-step interrogation process. I found this section particularly interesting given my past observational work. Cops literally swear by such an approach, and boast of their own ability to tell truth from fiction and “break-down” the guilty. The problem, as noted by Harris, is there is little to no evidence showing it works. In fact, the available science shows that a police officers’ ability to tell if someone is lying is no better than a lay person. Clearly, advocates of this approach are not overly anxious to accept such science when they themselves believe they know the “real” truth. In terms of forensic science, Harris offers a rather impressive review of numerous evidence collection strategies including DNA, fingerprint analysis, ballistics, tire and shoe print analyses, hair and fiber analyses, and bite mark analysis. Being a social scientist, perhaps the most distrusted of all scientists by practitioners according to Harris, I found this particular section most interesting, given its more hard science perception. According to the author, police and prosecutors treat these analyses as if they were infallible, despite evidence to the contrary. Even the well-respected FBI refuses at times to concede to the weaknesses inherent in such science. However, the reality is that short of DNA evidence, nearly all other forensic sciences highlighted by Harris require inherent subjectivity. Moreover, critical standards are not always in place for interpretation. For example, varying standards for fingerprint identification exist from one country to the next. As noted in the book, some countries require 30 matching characteristics (i.e., Argentina and Brazil), some require 16 (i.e., France and Italy), some require 12 (i.e., Australia), and some, such as the United States, require zero. Beyond this fascinating look into fingerprint standards (or lack thereof) to determine a match, Harris goes on to detail the weaknesses of each of the other forms of forensic sciences currently being used by most police and prosecutor agencies throughout the United States — when there is evidence pointing to better ways of ensuring justice. The question thus becomes, why is there so much resistance to using better methods? In many ways, answering such a question lies at the heart of this book, or at the very least the middle chapters. A multitude of excuses are offered by officials working in the field. For instance, one argument is that it would cost too much to change existing investigative practices – that recording all police interrogations would require purchasing the equipment to do so, which would be overly costly. Similarly, such changes would require cost increases in the form of additional training and perhaps manpower. Harris, however, notes that there is an over focus on the cost of change at the expense of the cost of failure to change (i.e., keeping the status quo) in the form of wrongful convictions (e.g., the emotional and physical damage done to the wrongly convicted, compensation paid out, failure to identify the real suspect, and damage to the integrity of the criminal justice field as a whole). Another reason for resistance is the threat of change to police and prosecutorial autonomy. As the author correctly points out, few things are cherished as much as autonomy by police officers. I have heard it more than once from officers that neither I nor anyone else outside the police can understand the police, and therefore should have no say in how they do their job. Other excuses involve a general lack of trust in science, fears that scientists are out to attack the integrity of the police and prosecutors, and the belief by some that there simply is no problem to correct, arguing that only 250 known wrongful convictions is a small number overall compared to the number of convictions. Harris quickly disputes the latter, arguing that the figure is probably much higher. Interestingly, he even offers examples where officials clearly grasp onto DNA evidence when it supports their case, yet attempt to discredit it when it does not. On the whole, none of the excuses offered by officials seem overly compelling or convincing. Harris then asks the same question, why is there so much resistance? He concludes that there are two broad based real reasons for such staunch resistance. The first comes in the form of cognitive barriers. Here, he spends a good deal of time discussing the role that cognitive dissonance plays. Faced with fairly strong beliefs that the police believe they are a special breed out to do good, catch the bad guys, and make the world safer (as described by one officer, they are doing “God’s work”) contrasted with the fact they sometimes get it wrong, they have to somehow reconcile this disjuncture, and they do it through cognitive dissonance and relying on any of the above stated arguments, such as denying the problem really exists. Harris also delves a bit into group polarization, behavioral economics, and status challenges – or the self-belief that not only do cops think they are a special breed by going after bad guys, but they are truly better than just ordinary citizens. The second broad based area for resistance is labeled as institutional and political barriers. One of the issues involves a focus on arrest for the police and conviction for prosecutors. Simply put, both parties are measured according to these outcomes, and the more the better. I fully agree and argue that despite the rhetoric that community policing brought us for several decades, the ultimate form of respect and recognition has always been in the form of arrest. The cop that is good at identifying and catching the bad guy is the one looked up to by his or her peers, and is the one most likely to be promoted and move up the ranks. Much of the police culture taps into this “cops-cop” notion. Harris goes on to further note other institutional and political barriers such as political ambitions, the nature of media coverage, the extent of police union opposition to reforms, and even legislative battles that all seem to pull in the direction of the status quo over substantive change. The latter portion of the book is devoted to recommendations offered by the author. I found this to be refreshing as the author does not simply note the problems, but offers potential solutions. Across the three previous identified areas (i.e., eyewitness identification, police interrogation, and forensic science), 16 specific and well-articulated recommendations are offered. These include requiring electronic recordings of police interrogations, the use of sequential as opposed to simultaneous lineups, prohibiting the questioning of vulnerable suspects such as those displaying some form of mental impairment, banning the least accurate forensic techniques until research shows a solid scientific basis for such, and the use of post-conviction units in prosecutors’ offices. In relation to how to make changes happen, Harris also offers suggestions such as focusing on the future and not just the past, and the importance of preserving evidence. Two of his recommendations really resonated with me. For one, he argues that the police and prosecutors must lead the way as they are the most likely to garner buy-in and momentum. I agree wholeheartedly. The other involves a suggestion to attach strings to agencies receiving federal funds to push forth real change; much like highway funds were used in the past to restrict the speed limit and increase the legal drinking age. This is a plausible way for the federal government to solicit change at the state level. Harris then concludes with highlighting some of the institutions already engaging in better practices. For example, he discusses the work being done by various Innocence Commissions, such as the North Carolina Commission. He notes the integrity units in Dallas and Houston, Texas. In New Jersey, he outlines the steps taken by the Attorney General to implement guidelines for conducting photo and live lineups. In short, not all agencies are resistant to change, and some are already implementing practices based on more solid scientific grounding. As a result, there is reason for hope. On the whole, this is a highly informative and readable book. It is well written and generally well researched with but few exceptions. For example, I would take issue to some degree with how Harris treats police culture as a collective whole or monolithic in nature, with only a footnote to mention some of the literature discussing the empirical work demonstrating the outdated notion of a monolithic culture. In fact, much of the contemporary research in this area demonstrates that the so-called police culture is far from monolithic. 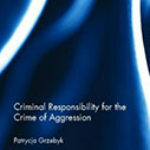 The author seems to brush over the most rigorous work in this area conducted by Paoline and colleagues over the past 15 or so years. This is somewhat ironic, given the topic and focus of the entire book. Despite such a quibble, I would strongly recommend anyone with an interest in law and justice to sit down and read this book.